Skin Nutritional Condition: A lack or too much of which nutritions has caused your skin to have less elasticity, more oily or dry, enlarged pores, black heads, acne and rosacea. Skin Hygiene Analysis: Which germs and bacteria are found on your skin, as well as mites and other common parasites that may have caused your skin's problems. 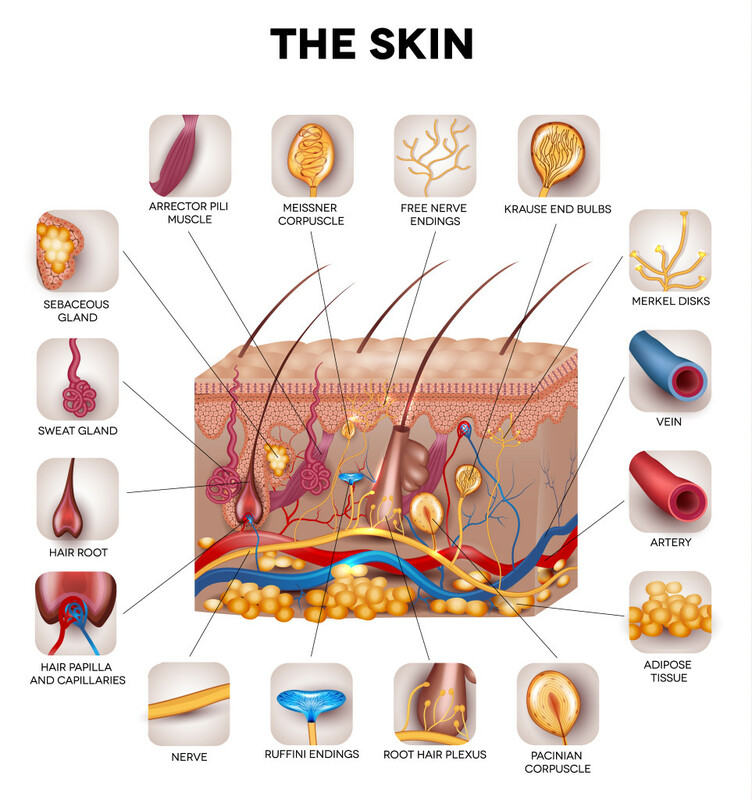 Skin Component Analysis: Do you really need collagen, how is your skin holding moist, how much vitamins, amino acids, fatty acids and other essential and non-essential bio components are found and what does that mean to your skin? Skin Sensitivity and Intolerance Analysis: Which ingredients and chemicals cause sensitivity and intolerance to your skin. The ADL's Skin Health Testing services utilizes the most advanced skin testing equipments and bio-technology from around Australia and overseas. Based on the DNA captured from the skin we are able to determine the surrounding skin's type, common bacteria infection, oxygen and nutrition supply to the skin, cellular circulation status, common parasites infection, sensitivity and tolerance towards chemicals, natural ingredients and other substances. Based on the lab results we will be able to analyze and determine the skin type, the causes of the skin's problems, cellular damage degree, what ingredients should be supplied and which ones should be avoided. Skin is our largest organ, and we rely on it as a protective mechanism against the environment. Our facial skin health is important for us socially and personally. Many of us purchase skin care and cosmetic products without knowing what is suitable for their own skin types. Putting products or substances that your skin is intolerant or allergic to can cause serious issues to the face and skin, and it may cause serious systematic issues within the body. It is important to understand our skin types and the underlying issues, as well as the causes to enlarged pores, oily skin, dry skin, acne and rosacea and other skin problems. You will get a list of ingredients that you should use for your skin type and a list of ingredients to avoid, so that you can start having the right skin care routine with the right products for a healthier look and better health. How does the ADL's Skin Health Testing differ from others? The ADL and its partner labs have the world's most advanced equipments and bio-technological expertise in the dermaceutical industry to guarantee the accuracy of the analysis. Unlike average skin clinics or beauty salons and spas, we rely on scientifically and clinically proven approaches and analytical skills to prepare individual reports and our advice is offered by registered dermatologists. We analyze skin samples through bio-technological equipments and combine it with state of the art DNA analysis technology to find out genetic issues that may have caused your skin's problems and diseases. To make sure that our report and analysis is accurate, we combine all the evidence and lab results and present them to our dermatologists to review, who then give advice and suggestions for taking care of your skin. You will be emailed instructions for getting a sample of your facial skin through using a Q-tip. Scoopon customers, do NOT continue and click here to redeem your voucher.